Competitive prices, honest service, short terms and punctual delivery. 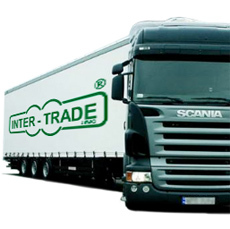 INTER TRADE is your reliable business partner. INTER-TRADE JMMG Ltd is a company with long experience, present on the Polish market since 1989. The seat of the firm has been founded in the heart of the Polish orchard region located by Grójec and Warka. The INTER-TRADE Company is a proven producer and retailer of fresh vegetables and fruits (apples are our pride), earning Polish and European customers respect for more than 20 years.